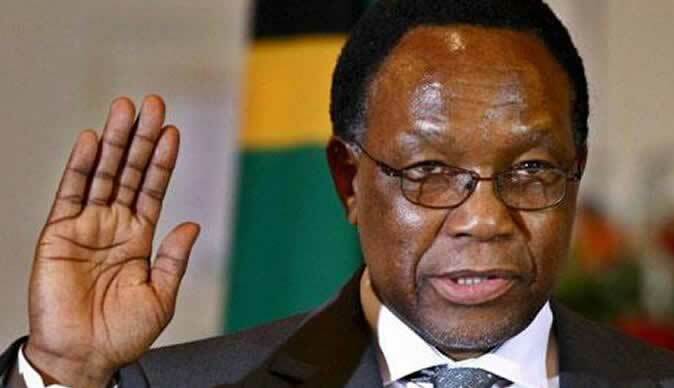 The Kgalema Motlanthe led commission of inquiry into the August 1 post-election killings has fingered police the military and police as the culprits behind the murder of six civilians during the altercation between the security forces and the protestors. Addressing the nation on Tuesday President Emmerson Mnangagwa said, "The commission concluded that the use of live ammunition was unjustified and not proportionate to actions of the protestors. The use of sjamboks and gun butts was also found to be disproportionate force by the commission. President Mnangagwa said on top of the six people who died, thirty-five more were injured. "The total number of people who died were six and those injured were 35. The commission concluded that the those who died and those injured were victims of guns fired by the police and the soldiers." The Motlanthe commission further recommended that the governement must establish a fund to assist the dependants of the deceased if there are minors. The Commission findings are in sharp contrast with former MDC Spokesman and Leader of an NGO called Free & Fair Foundation Gabriel Chaibva who sensationally claimed that MDC youths had a pistol and since they did not know how to use it, 2 of the youths then accidentally shot each other and they died during the 1 August political killings. Testifying in front of the Kgalema Motlantle commission of inquiry Chaibva said , "My informant told me that they saw some MDC Alliance youths with a pistol and they were trying to use it and accidental shot each other and two of them are likely among those whose bodies were dumped at Parirenyatwa hospital. They likely shot themselves playing around with the pistol. They were not shot at by the army.